The ceremony at the Intercontinental Asiana Saigon- organised by Ensign Media and supervised by BDO, the fifth largest accountancy firm in the world- was the first event of its kind in Vietnam. Acknowledging excellence in location, construction, design and innovation, the annual event recognises top industry professionals who plan and construct quality new developments. On offer were 21 prizes across four categories for the best developer, development, and design, followed by the “best of the best” category. 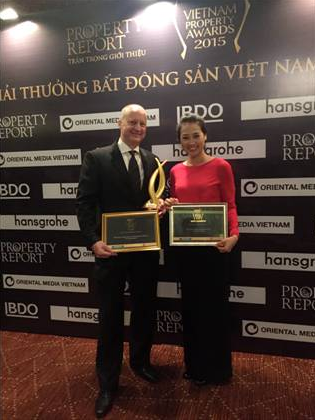 VinaLiving was the recipient of two awards- Best Condo Development (resort) in Vietnam for The Ocean Apartments at Danang Beach Resort and highly commended award for Best Villa Development (resort) in Vietnam for The Point at Danang Beach Resort. "These two awards reaffirm VinaCapital as a recognised real estate development team, and verifies the superior standard of quality and expertise we bring to each project we are involved in,” said David Blackhall, VinaCapital Real Estate managing director. “Our approach of offering buyers a product that meets international standards at a competitive price and under one master brand sets VinaCapital apart from its competitors not only in Vietnam, but also across the region,” Blackhall added. Winners of the awards are now eligible to compete with regional peers in the grand finale at the fifth annual South East Asia Property Awards 2015, to be held at the Shangri La Hotel in Singapore in October 2015. 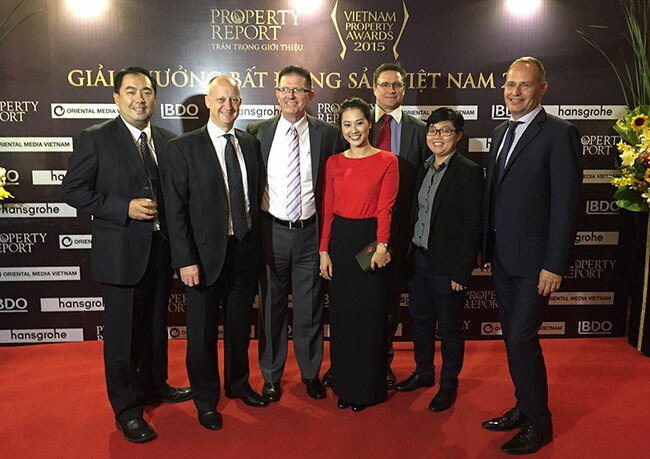 Presented by Asia's industry-leading Property Report magazine, the annual event serves as a unique networking venue for professional realtors in Vietnam to meet industry leaders and stay in touch with their peers.